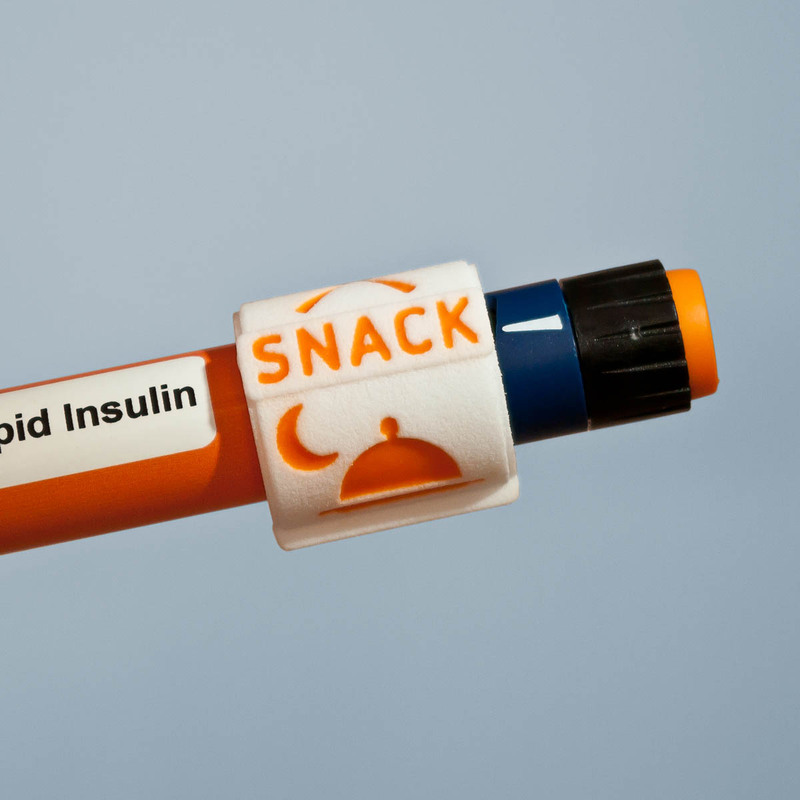 SNACK & NOW are two models of insulin dose reminder that can help diabetics not to forget their dose. 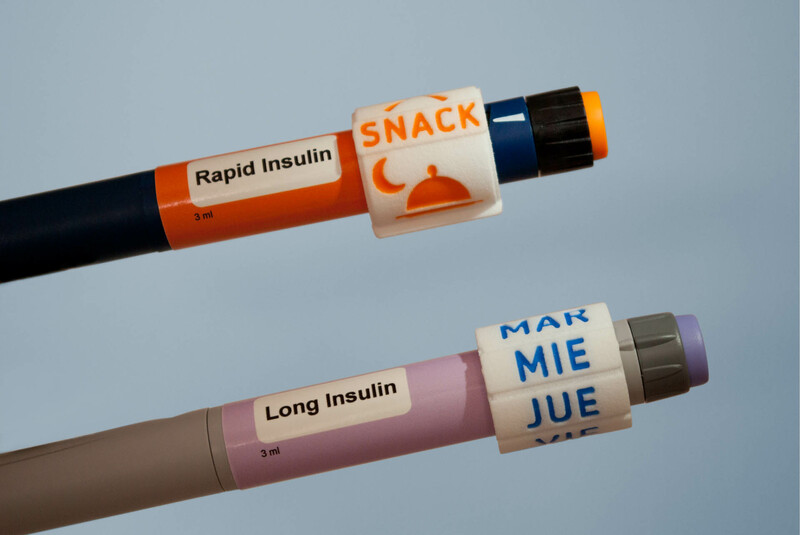 SNACK is designed for use with rapid-acting insulin pens and NOW is designed for use with long-acting ones. 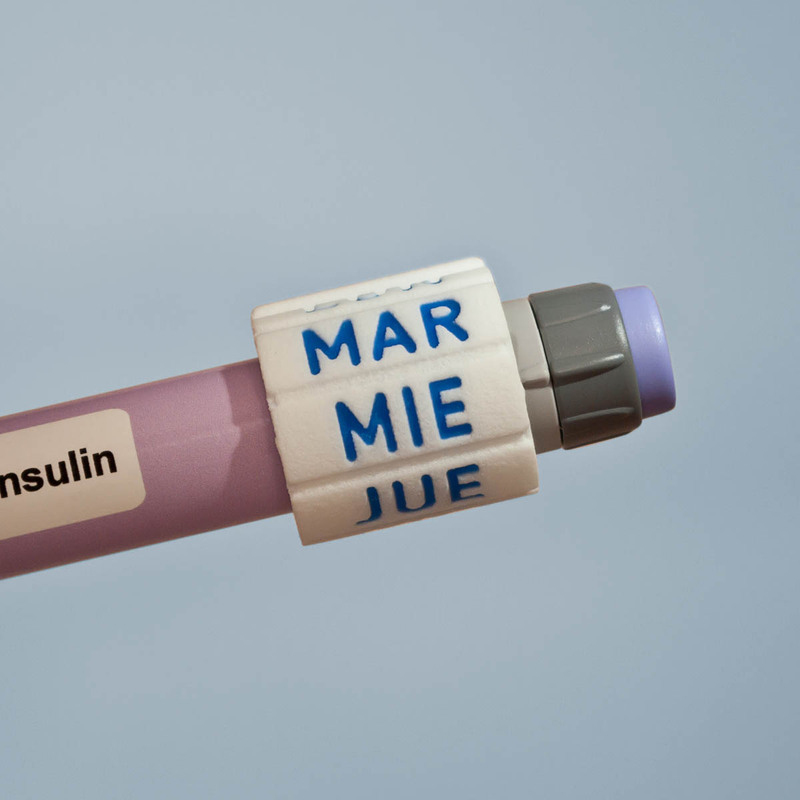 These small plastic parts are designed to leave a mark on your insulin pen. This mark sets the time of day when you got your last insuline dose. These parts are not automatic devices: they will always need your collaboration to work correctly. 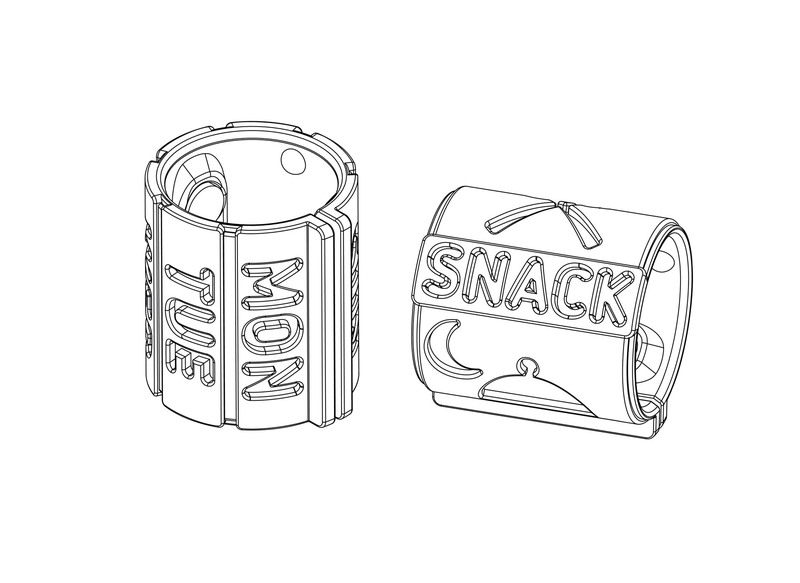 If you are a forgetful person, SNACK & NOW is not the suitable product for you. 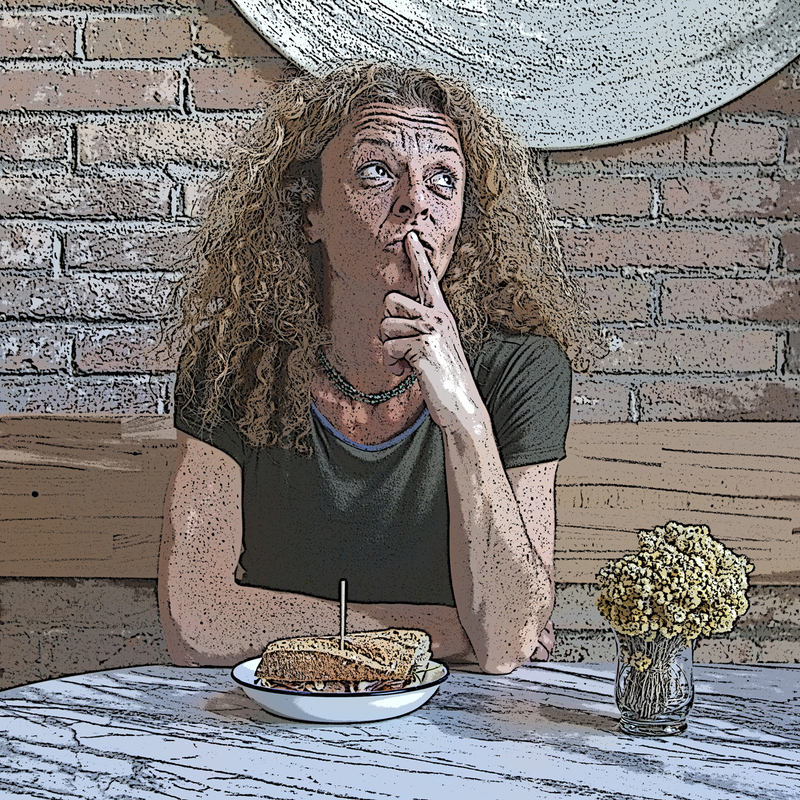 However, if you are a constant person in your diary routines but sometimes you cannot remember if you got your insulin dose or not, then SNACK & NOW can help you. IMPORTANT: These products are designed for use by adults only. Minors cannot use them. SNACK: 4 positions, one for each meal of the day. NOW: 7 positions, one for each day of the week. 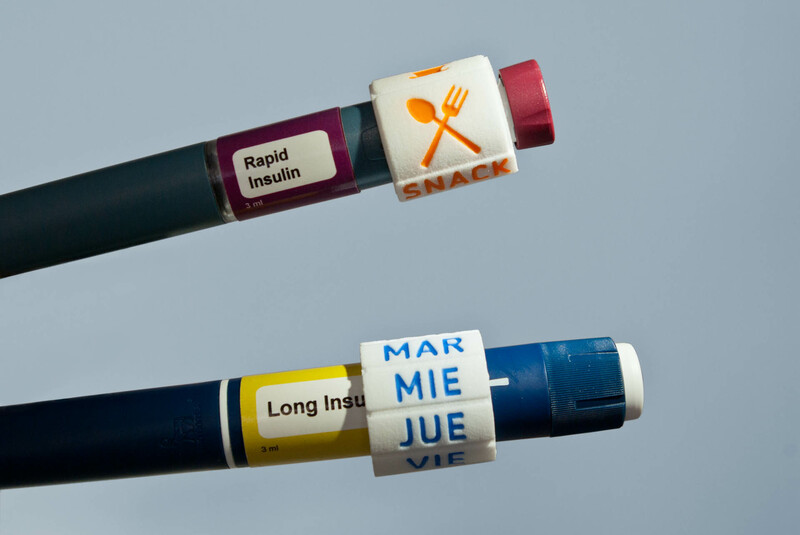 One size works with thin and thick insulin pens. Resistant design + Good material = Long lasting object. Designed for an easy use. Big letters and clear icons, easily readable.